Hey everyone! I’ve got a quick post to talk about a December 19th book signing and book 3 update! If anyone is going to be in the Asheville, NC area on December 19th, I’ll be signing copies of both Souls of Astraeus and Games of Astraeus. It’ll take place 2-4pm at the Barnes and Noble at Biltmore Town Square. It’s going to be a crazy and fun scene. Star Wars: The Force Awakens will have only been out a little over 24 hours, last-minute shoppers will be elbow to elbow, and the air will be filled with the smell of books and sound of Winter Wonderland playing for the 978,227th time! Swing through and hang out if you like! Come on by and grab a signed book! Also, book three, the final book in the Akallian Tales trilogy, is on track to be out in spring 2016! It’s going to be a great finish that I think everyone will really enjoy. Be on the lookout for updates on when exactly it will be available. I’m even hoping to possibly have it debut exclusively at a particular convention. Stay tuned to find out if so, which one, and when! Oh, and a bit of news unrelated to the Akallian Tales.. I have something else in the works. Well, I actually have numerous things in the works right now, but I’m referring to something specific right now. Something that I am ridiculously excited about. It might be a new book that is extremely unlike the Akallian Tales trilogy. It might be something under the extremely large fantasy umbrella! What? Yes! If I don’t post again before the end of the year, I hope everyone has a safe, fun, and loving Christmas and holiday season! Hope to see you at the December 19th book signing! 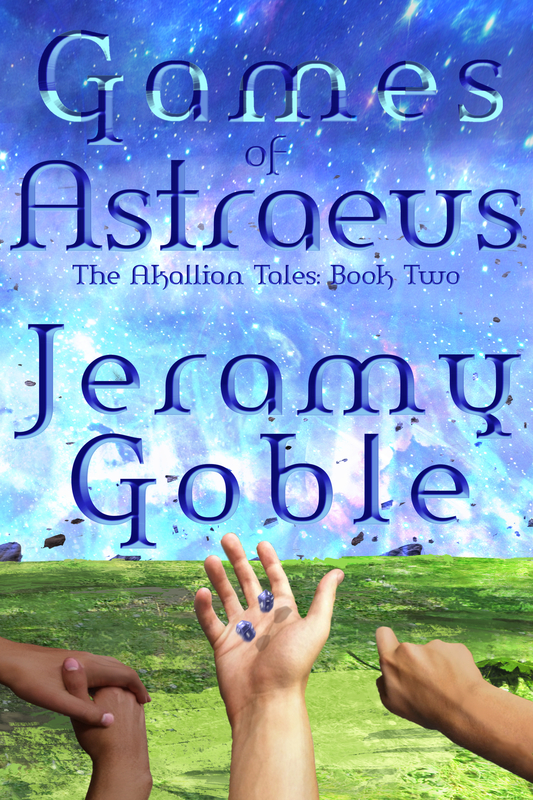 Just wanted to slap up a quick note to let everyone know that you can get the Kindle version of Games of Astraeus for 99 cents, starting October 5th, through October 12th! Book two picks up right where the first book left off and shoves you right back into the chaos. Games of Astraeus also continues where Souls of Astraeus left off, by further redefining the often-times stale sci-fi genre by letting the reader sink their eyes into the stories of multiple female protagonists and uncommon relationships. Readers will be exposed to additional dark and revealing details surrounding Daebaugh, and the timeworn mysteries of the ribbons. There are new Astraean adventures, worlds of the multiverse, and complex drama to delve into. The challenges facing the Astraeans cast a wider net, and entangle more of existence into their conflict. 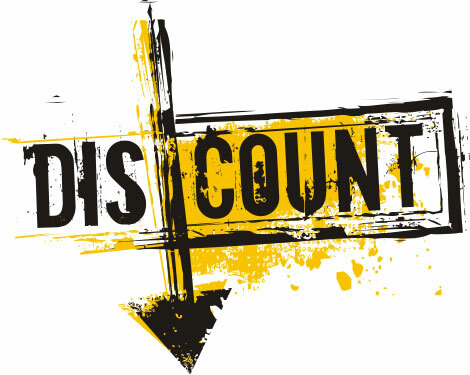 Only 99 cents, Oct. 5-12! Games of Astraeus is out! After a slight delay on Amazon’s part, the Kindle version of Games of Astraeus has been launched! The paperback, hard cover, and audiobook versions will be following soon. Check out the cover that I slightly tweaked from the last time I posted it. It’s pretty spiffy! I’m VERY excited about this book. I started writing the first book some 8 or 9 years ago, and had written most of that one in the initial 2 or 3 months. I’ve written this second one in under a year, and my entire mindset and outlook has evolved tremendously. Eight years ago, I had only been out of college a few years, wasn’t married, and was having trouble choosing between a million paths I wanted to pursue. I’ve matured, become less cynical, and developed my ability to focus on the things I’m most passionate about. I thought I knew what the various facets of passion were then, but I’ve since realized I’m only beginning to enjoy the liberation and complexity of passion. This second book delves fiercely into my passions for empathy, compassion, and respect, via my interpretation of what love and marriage are like between actual souls, as well as galactic combat, and the adventures of space, technology, and time. If you read it, I hope you enjoy it. Let me know what you think! I thought I’d write up a quick post on creating a book outline. I’m an outline kind of guy and I guess I developed my affinity for them when I was in school. 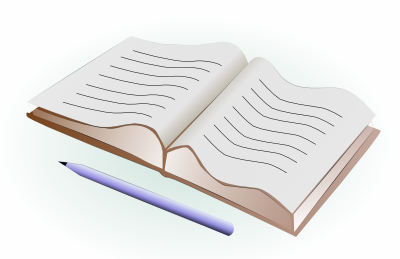 There’s a time for brainstorming, free writing, stream of consciousness, and all that good stuff, but for me, when it comes down to entering the battlefield that is beginning a book, I’m a fan of outlining. That’s how I started Souls of Astraeus, and that’s what I’ve done with Games of Astraeus. It’s a very simple thing. It helps me play through the chronology of the plot and helps me hack away at the book, chapter by chapter, and stay focused. Of course, I can move chapters around, tweak, add, and delete as I need to, but the outline definitely helps me stay on track with major plot elements, events and scenes that I want to make sure make it into the final product. I’ve especially found it helpful for developing the arc of the story, climax, suspense-building, and so forth. What are the methods to your madness for helping you stick to your story? So, I knew all along that I’d need to do some re-branding and website tweaks after I finished Souls of Astraeus, but it came along a bit quicker than I expected. I realized shortly after I had launched the book that I’d want to point all future web traffic to a consolidated domain that represented me *and* all of my books, rather than a separate domain *and* website for each book. Pardon our mess. Well, actually, everything’s finished. I already had the jeramygoble.com domain, (obviously, as it’s where this blog lives), so I just changed my graphics and such to direct folks to jeramygoble.com. I’ve tweaked my main website to reflect the new focus, (away from soulsofastraeus.com), changed some links and such, and I’m all set! Also, I simply set soulsofastraeus.com to redirect to jeramygoble.com, so, the tweaks and changes should be seamless and slick! So, I decided to have some fun and run an audiobook raffle a few days ago when the audiobook version of Souls of Astraeus went live. 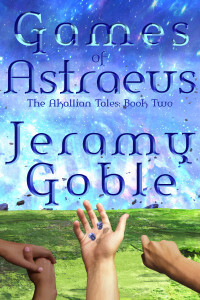 I announced on my Facebook and Twitter pages that folks could simply sign up for my newsletter and then they would be entered for a chance to win an Audible code to redeem for a free audiobook version of Souls of Astraeus. The response was solid and very successful! I had a blast getting to hear from folks and giving away some audiobooks! I’m working on the first newsletter now and hope to send it out soon. And again, to anyone who has signed up for my newsletter, or may sign up in the future… Don’t worry, I won’t share email addresses with anyone, and I’ll always be the one crafting the newsletter and sending them out, occasionally. Ladies and gentlepeople, the Souls of Astraeus audiobook is LIVE! It was a bit of a pain to get the recording where I wanted it to be, but after moving recording equipment around, tweaking acoustics in my studio, getting new equipment and being very patient with the process, I got it where it needed to be. I can’t believe I forgot to post about my tattoo when I got it. It was during the few weeks I was crazy busy recently. I got it at Invidia Tattoo in Asheville, NC. The artist who did it is Tina McFarland. She and the entire staff at Invidia are amazing. The shop has an amazing vibe, feels incredibly welcoming and was a blast from start to finish. I’ll be headed in this coming Friday (7/25) for some touch-ups and to plan for my next one. Woooooo! But yeah, I just can’t say enough about Tina and everyone at Invidia. I can’t believe how well Tina translated Jonathan Powell’s art for my book, SOULS OF ASTRAEUS to a mind-blowing tattoo.